"The International Sewing Club is a non-profit organization that seeks to follow the example of Jesus, loving others by meeting their physical and spiritual needs. We exist to serve immigrant and refugee women in Nashville by teaching the art of sewing in order to provide them with an economic skill, and by offering ourselves as friends in their new culture and helping them develop reading comprehension, conversational, and math skills." 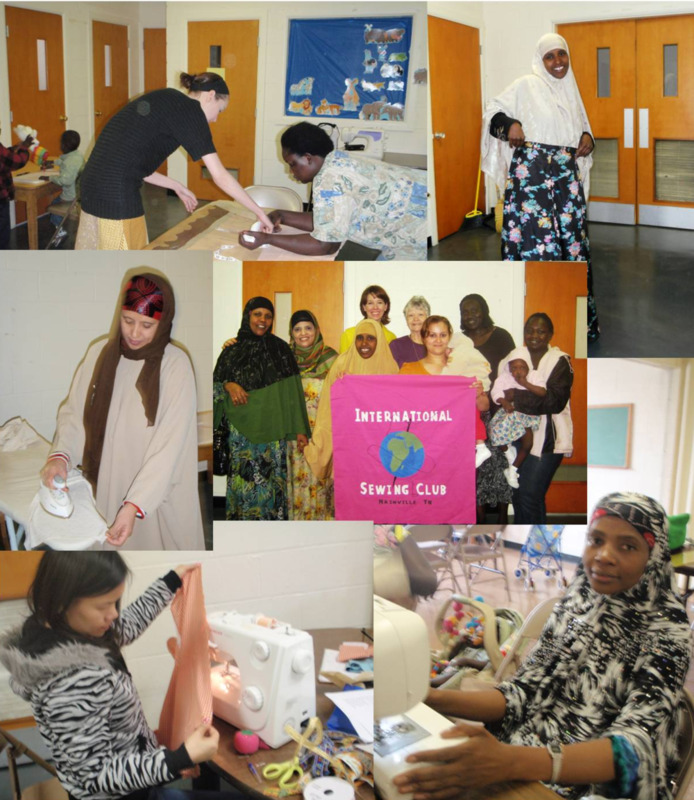 The International Sewing Club has served women in Nashville since 2009, offering foreign-born women a healthy social outlet, a boost to personal self esteem, and an opportunity to strengthen skills necessary to succeed in our culture. The ISC was born out of the belief that if you give a woman the opportunity to learn a new skill and better provide for her family, she will put it to great use. We offer a free sewing class that meets once a week in the Woodbine neighborhood of Nashville, TN. We are open to foreign born women with a desire to learn not only sewing but also English, Reading and Math. As a result, our class is made up of members of Nashville’s diverse refugee community. We also offer one on one tutoring sessions to help women improve reading and English skills. Not only is the international sewing club a place for learning and creativity – it is a place for love and friendship. A place where women can be themselves and not be judged, and a place where we learn about different cultures and all the things that make women special. Through this organization, cross-cultural friendships are formed that would not exist otherwise, and women are taught to explore their talents and realize their true value.